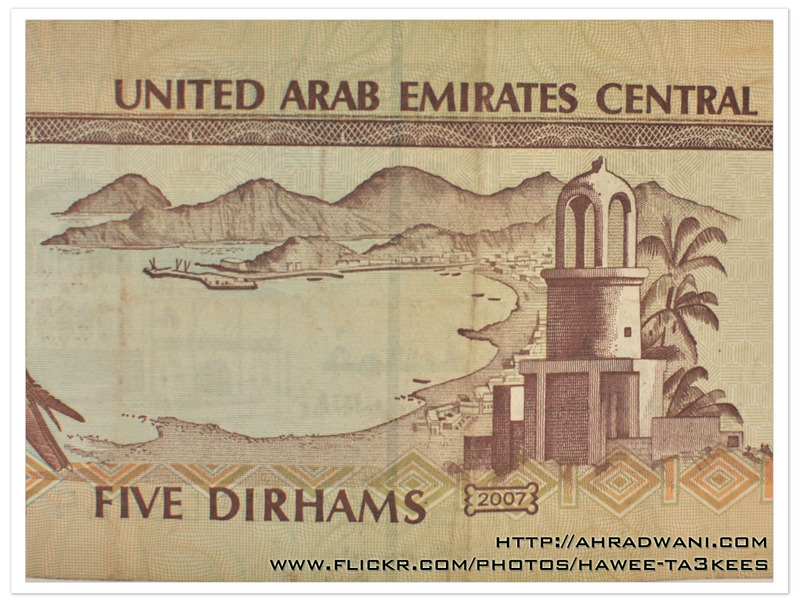 This is a shot of the 5 UAE DIRHAMs [1$ = 3.67UAED], the both side of it contain an art. 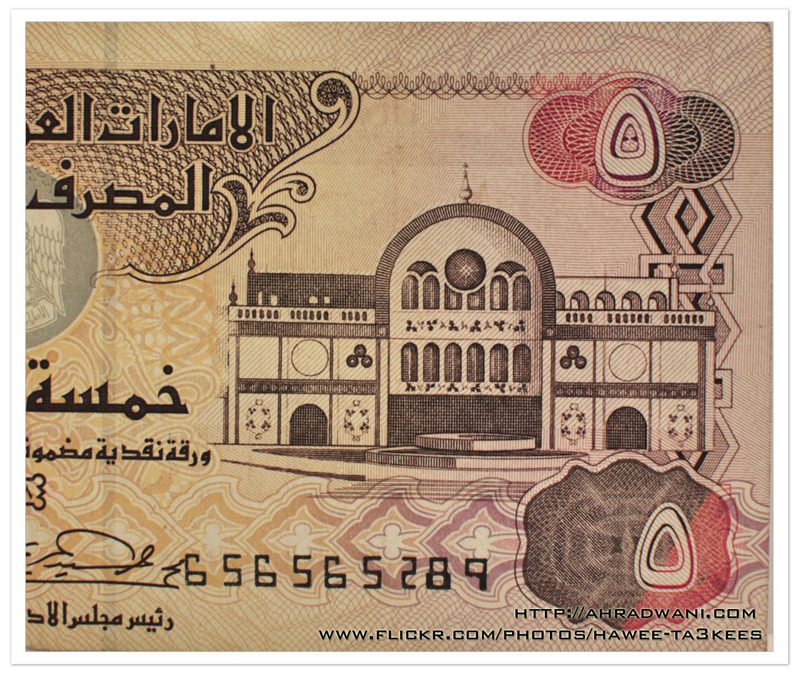 The art of creating currency and the actual art used on currency is a fascinating window into history an culture. We forget that money and postage stamps are not utilitarian pieces of social interaction. They are pieces of art and a form of Mass Media. Thanks for posting and thanks for following my blog. It is most appreciated.